It's a worksheet to practise compound nouns.Key included. Thank you. The above downloadable teaching material is recommended for high school students and elementary school students at Elementary (A1) and Pre-intermediate (A2) level. It is a useful material for practising Nouns and Nouns: Compound nouns (e.g. 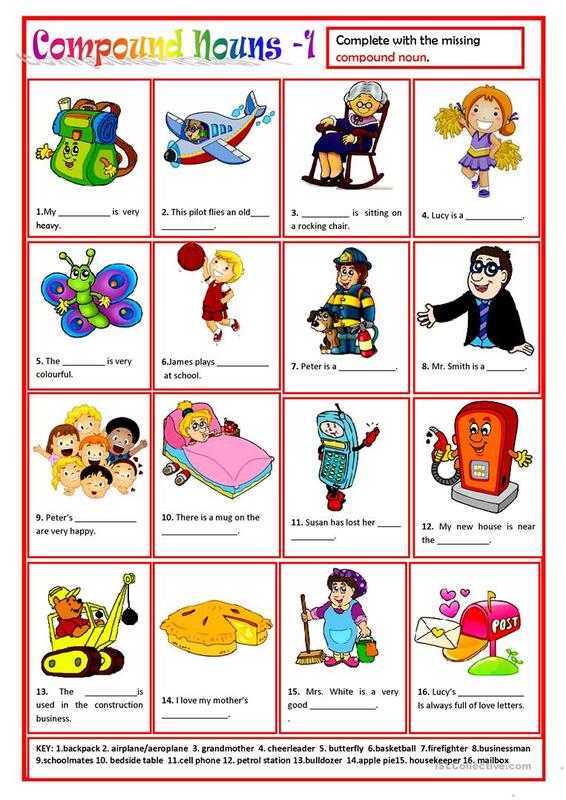 bus stop, washing machine, haircut) in English, and is a valuable material for working on your students' Spelling, Reading and Writing skills. It includes the solutions, too.